The Freelancer collection launched in 2007, and this special edition is actually a collaboration with Piper aircraft – not that you would know, as there’s a lack of any visible branding on the dial. The dial has central hours and minutes, with monochrome hands tipped with stripes, and a GMT hand inspired by a red compass. A tachometric bezel runs around the outside, whilst the inner circle displays GMT time. There’s a small seconds sub-dial resembling an altitude indicator at 9 o’clock, a date window at 4 o’clock, and 30-minute and 12-hour counters at 12 o’clock and 6 o’clock respectively. The royal blue hands on the chronograph counters are shaped like the Piper’s rotor blades, and the chronograph is started, stopped and restarted by the 2 o’clock pusher, whilst the 4 o’clock pusher resets. Inside is the RW5020 chronograph movement on an ETA 7754 base caliber. Water-resistant to 100m, the Piper has a 46-hour power reserve and comes on an openwork black leather strap. The run is limited to 1,500 pieces and, sweetly, each watch comes with its own Raymond Weil-stamped model Piper. With Thanks & Courtesy QP. QP Salon Saatchi Gallery 12-14th November 2015. 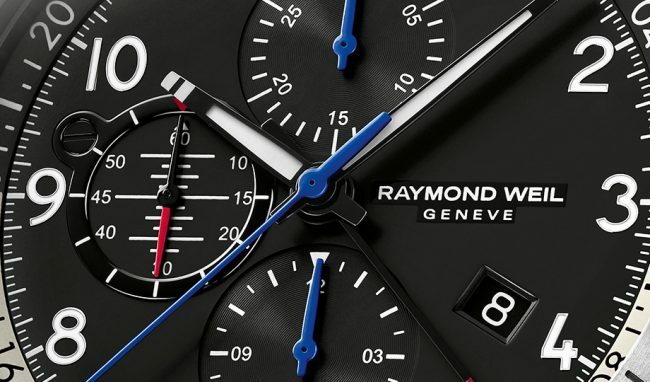 Best known for its music-inspired watches, Raymond Weil has now released its debut pilot’s watch. Whilst the company’s eponymous founder was well-known for his love of music, reflected in watches inspired by everything from Gibson guitars to Frank Sinatra, Raymond Weil’s passion for flying is somewhat less acknowledged. Now Raymond Weil has launched its first pilot watch, the 45mm Freelancer Piper made of titanium and stainless steel and priced at £2,895. In tribute to Mr Weil, the Freelancer Piper takes design cues from the dashboard of the Piper plane Weil flew around the Matterhorn and the mountains of Switzerland. With thanks and courtesy, Raymond Weil. With thanks and courtesy QP Watch Salon. Saatchi Gallery 13-14 November 2015. 17th Century Master Rare gem by Roelandt Savery presented at Frieze Masters by Salomon Lillian Galerie, Amsterdam. 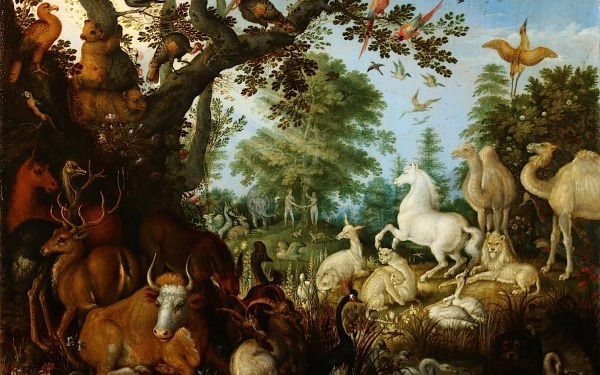 Salomon Lillian present a rare 17th century gem at Frieze Masters by Roelandt Savery, Adam and Eve in Paradise. Sold to a private collector on the 1st day. Oil on board . Salomon Lillian Galeries Amsterdam and Geneva, Old Masters specialists. 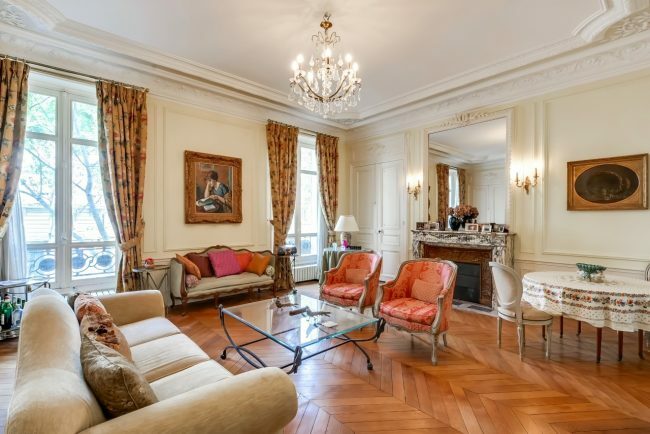 Paris flat for sale near Parc Monceau. For sale in the 17th arrondissement near the Parc de Monceau, one of Paris’ most celebrated parks, on the first floor of a century-old cut-stone building with elevator, this 105 m2 (1,130 sq. ft.) apartment on avenue de Villiers is replete with classic features such as parquet floors, marble fireplaces with gilded mirrors above, high ceilings with plaster molding, a sitting room, and French doors that open onto a small balcony with wrought-iron railing. Features include a fully equipped separate kitchen with a dining area, laundry with washer and dryer, and a guest lavatory that opens off the commodious entry hall. Qatar L’Arc de Triomphe race exclusive video images, below, at Longchamps below. Paris famous LONGCHAMPS race course hosts one of the most glamorous days on the sporting calendar. After the 2015 Qatar Prix de l’Arc de Triomphe, work will start on a project that owner France Galop, the organisation that runs French horse racing, hopes will transform the appearance of the historic horse racing venue and secure its financial future. Architect Dominique Perrault’s futuristic new stand design incorporates “transparent shelves,” for better viewing. Longchamps in the Bois de Boulogne, an 850-hectare public park. The new building and overall redesign is costing €130 million ($145 million). Goldenhorn winning the 2015 Qatar l’Arc de Triomphe at Longchamps Paris, in a brilliant finish. Trainer John Gosden.Owner Mr.Oppenheim. Jockey Frankie Dettori.With thanks courtesy Photo Julian Herbert.PA WIRE. 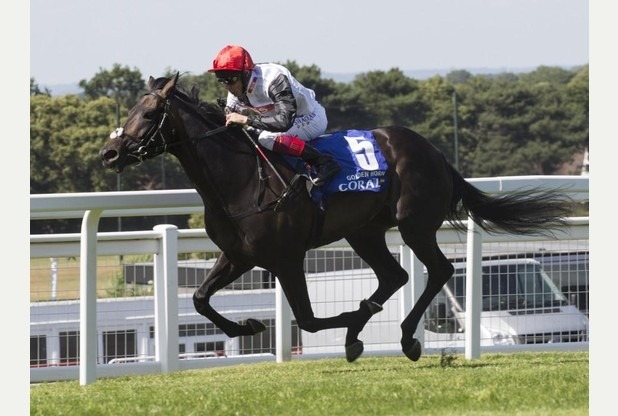 Frankie Dettori had successfully ridden Goldenhorn to victory in the Derby at Epsom in May 2015. France Galop organises French horse racing. Exclusive video images taken at Longchamps racecourse below. Qatar l’Arc de Triomphe meeting 2015.